For my first review on Perfume-Smellin’ Things, I wanted to choose a special fragrance. 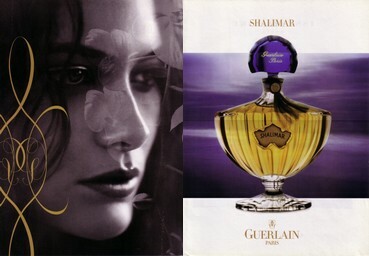 Searching for it in my olfactory library, I came to a conclusion that only Shalimar by Guerlain can be such a fragrance. However, when I started to write, I realized that I bit more that I can chew. To analyze Shalimar within a perfume paradigm is a huge task. This review is an attempt to discuss Shalimar within the limits of my personal space. Shalimar was my first vintage perfume, which I bought five years ago at a perfume market. A couple of months ago I acquired a bottle approximately thirty years of age, the perfect preservation and eternal youth of which could be envied by any woman. During these year, the fragrance became an intrinsic part of my perfume wardrobe and life. Moreover, it turned into an important part of my personal life and home. It so happened that, compelled by an unknown force, I started to wear Shalimar every Sunday. It was strange on my part to give one day a week to the same scent. Shalimar behaved strangely too. It didn’t care that I was going to fight the entropy of my home life and demanded shoes, pink suede shoes with high heels. With time, it became less picky and was satisfied by a traditional Sunday morning coffee with croissants. And even didn’t mind my ironing. I think the reason is the fact that the aromas of freshly brewed coffee, baked goods and lavender linen water suited it perfectly. And Shalimar knew it, of course. But it left no doubt in my mind that Shalimar was a perfume with a character. The beginning of the perfume is vivid and short, like a flash. Bergamot and lemon are blended into one element, iridescent like mercury. 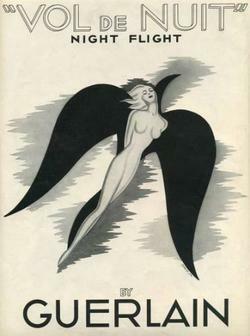 Guerlain perfumes are famous for their seamlessness. Hesperidic overture sounds on me for a short time. It serves as a trampoline for the consecutive flight of other players. After the smooth, polished, cold citruses, appears tonka bean and stays until the end. With all its many facets, my Shalimar is an ode to tonka. And when resins and balms are warmed up by my skin, tonka bean is hovering over them, like a warm, shaggy white ball thrown in the air. I am less lucky with flowers. As mush as I wear Shalimar, neither rose nor jasmine have shown up on my skin even once. This classic duet is irreplaceable in the composition and is present there invisibly, like its fifth element. I would have loved to smell it at least for a moment in Shalimar, in its earthly, not ephemeral hypostasis. Having said that, there is no luck of earthly and sensual in the old parfum. But the most precious part is hidden in the very bottom. In my first bottle of Shalimar everything died, except for amber. But that was the most beautiful amber of all I have ever smelled. It was dry and hot like sand, and yet fluffy and moist, with an ozonic-iodine undertone. A sea breathed through Shalimar’s amber. Shalimar added a much needed warmth and sensuality to our cold and gray North Sea. Ever since, I love to wear Shalimar by the sea. And to throw white balls in the air. Для своего первого ревью в Perfume-Smellin’ Things я хотела выбрать особенный аромат. Перебрав в его поисках свою ольфакторную библиотку, я пришла к выводу, что этим особенным ароматом может быть только Shalimar Guerlain в старых духах. Но, начав писать, я поняла, что замахнулась на необъятное. Рассматривать Shalimar в парадигме парфюмерии это непосильный труд. Это ревью – попытка ограничить Shalimar в рамками личного пространства. Shalimar были моими первыми винтажными духами, который я купила пять лет назад на парфюмерно бирже. Пару месяцев тому назад у меня появился новый флакон духов примерно тридцатилетней давности, сохранности и вечной молодости которых позавидует любая женщина. За эти годы аромат плотно прижился в моем гардеробе и стал неотъемлимой частью моей парфюмерной жизни. Более того, он стал важной частью моей личной жизни и быта. Звенящие, пронзительные альдегиды и ….ослепительно-белая кожа. Liu раскрылась на мне кожей! Этим она мне напомнила мой любымый кожанный аромат: Cuir de Russie Chanel. Они оба – как два сообщающихся сосуда. Понижаем уровень альдегидов в Лиу (или Лю?) – получаем Русскую кожу, понижаем ровень кожи в Русской коже – получаем Лиу. Liu часто сравнивают с другими альдегидными ароматами того времени: Chanel No.5 и Сhanel No. 22 . По легенде Liu были сделаны для Роуз Кеннеди, которая захотела свою личную “Пятерку”. С No. 22 сходство заканчивается на слове “альдегиды”, характеры у них совсем разные. Альдегиды в 22 отчаянно-шершавые, до слез, до кома в горле. В Liu они идеально- аристократичны, эмоции остаются за кадром. Liu – героиня оперы Пуччини “Принцесса Турандот”, пожертвовшая своей жизнью ради любви (как это не банально!). Премьера оперы состоялась после смерти композитора, 25 мая 1926 года в Миланском театре “Ла Скала”. 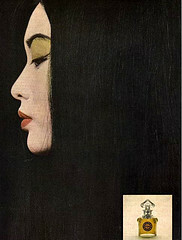 Liu Guerlain (Jacques Guerlain, 1929) : Bergamot, neroli; Jasmine, May rose, iris; Amber, vanilla, woods.